Vesna Podrug, piano – "URSUS"
Vesna Podrug comes from Split in Croatia, where she received her first piano lessons from Professor G. Lentić. 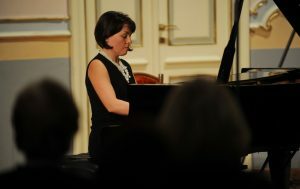 By the time she graduated from the Music School in Split in 1986, she hadalready won six first prizes at the National competitions in former Yugoslavia. As the winner of an “Ivo Pogorelich” scholarship, she was able to move to Vienna to further her studies with Professor Paul Badura-Skoda at the University for Music and the Performing Arts. 1989 she was also awarded a scholarship from the Austrian Federal Ministry of Science and Research. She concluded her studies in 1992 and graduated with a Master of Arts degree. 2000 she completed her pedagogical education with distinction at the Vienna University of Music and Performing Arts. Already during her studies Vesna Podrug appeared in numerous solo concerts, as well as a soloist in orchestral concerts as such First Piano Concerto by Chopin with the Orchestra of the Croatian National Theatre under Boris Papandopulo and in various chamber music ensembles. She worked together with Wladimir Kossjanenko, Soo Kyung Hong, Goran Listes, Isabell Bringmann, Martina Serafin, Miguelangelo Cavalcanti at the prominent concert venues like Musikverein and Konzerthaus Vienna, Conservatorio Verdi Milano, Opera House Graz, Lisinski Concert Hall and Croatian Music Institute Zagreb, TOI-Theater Salzburg and Bösendorfer Hall Vienna. She performed in TV and radio concerts for the ORF (Austrian Radio) and also gave numerous concerts in Italy, Spain, France, Austria, Switzerland, Croatia, Turkey, Great Britain, Ireland, Finland, Germany and Kazakhstan. 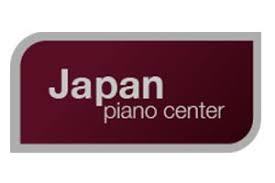 From 1998 to 2007 she was engaged as a pianist at the Vienna State Opera House, and 2002- 2008 at the Vienna University of Music. From 2000 to 2005 she performed the Concerto No. 5 “The Emperor” by Ludwig van Beethoven with the Vienna State Opera Orchestra (Vienna Philharmonic) several times at the Vienna State Opera House. In 1999 her first CD “Music for Viola” (Extraplatte), that she has recorded together with violist Wladimir Kossjanenko was released. In 2002 the same label released her second CD “In Memoriam Shostakovich”, which she has recorded with Michael Kugel. In december 2002 this CD was chosen by The Strad Magazine – London as a Recital Disc – Strad Selection. 2002 Vesna Podrug performed with American mezzo-soprano Denyce Graves and Belgian violist Michael Kugel at the 53. Festival in Dubrovnik, 2006 with French violist Gerard Causse at the Festival in Hatrberg/Austria, 2008 with Austrian flautist Karl-Heinz Schütz at the “Falaut” festival in Milano, 2010 with Chinese sopran Hue He at the 61. Summerfestival in Dubrovnik and with Slovenian Tartini String Quartet at the 56. Summerfestival in Split, 2015 with american clarinet player Vadim Lando and WLadimir Kossjanenko at the 1st International festival “Forte Music Fest” in Almaty. Since 2007 Vesna Podrug has been a professor of piano at the Academy of Arts at the University of Split/Croatia.